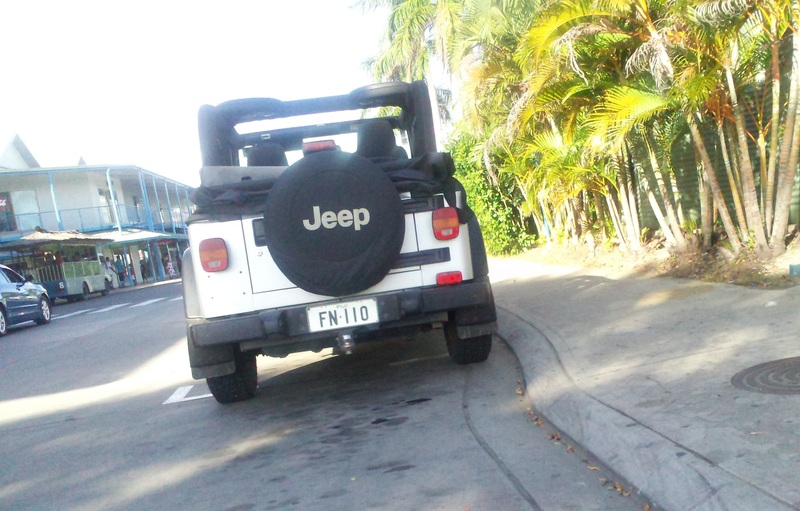 In Fiji for the next couple weeks…so somebody else is gonna have to Jeep Wave in Colorado while we’re gone. In between relaxing and taking in the sights, came across this little Jeep parked in the lot near the marina. It needs a Jeep Wave sticker, but otherwise, very cool! Lots of Hilux’s and old model Land Cruisers with intake snorkels here. We can imagine that when the Typhoon season comes around, there’s a lot of water fording to do. Anybody know of a Jeep club in Fiji? How bout the general South Pacific? More pics to come!